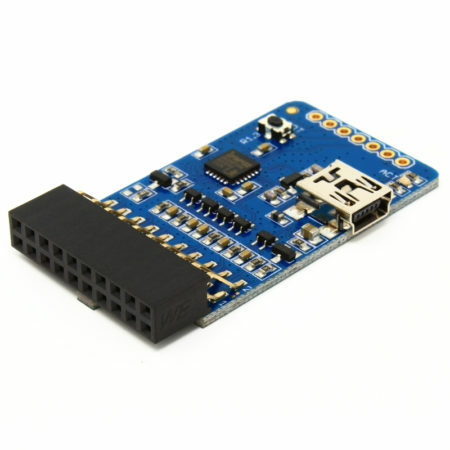 The AK-LINK-2 JTAG is an ARM JTAG adapter based on the FT2232D chip. 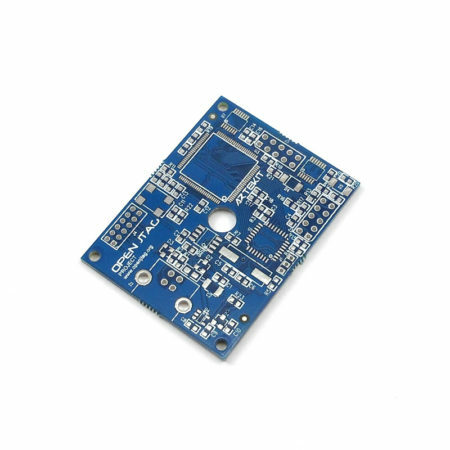 The AK-LINK-2 JTAG is built around the FT2232D chip from FTDI and allows you to flash and debug ARM based machines. You can also use it to flash and debug the Lattice FPGAs as a Diamond Lattice Programmer. 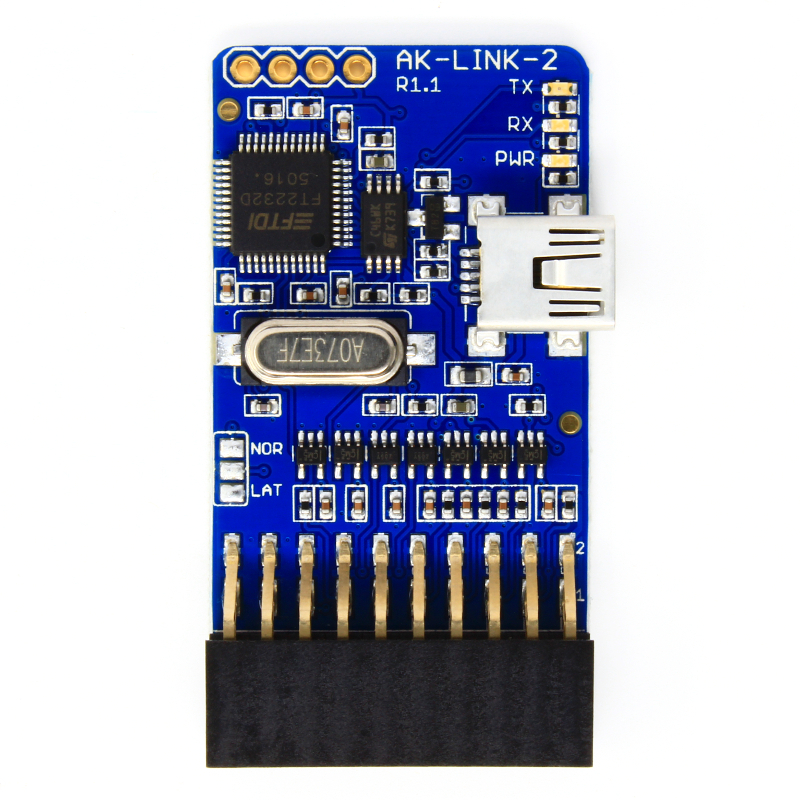 This the version 2 of the original AK-LINK JTAG. 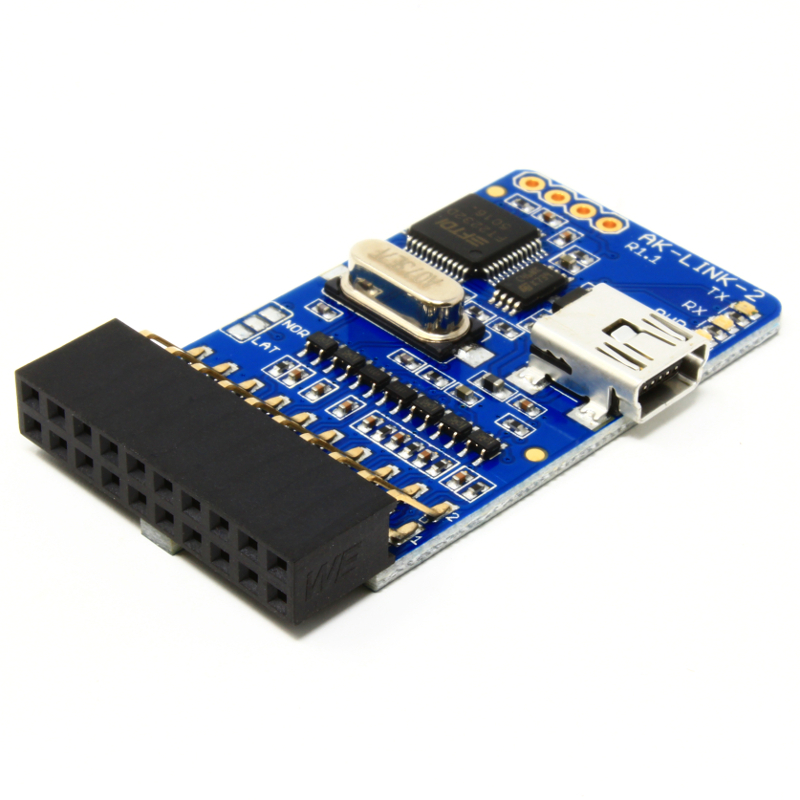 This new version has a new layout and adds a solder jumper to select between “normal JTAG mode” and “Lattice FPGA programmer”. You can select the mode using the drop-down menu up here. You can go back and forth between these “modes” anytime. This USB high speed and low cost adapter is ideal to debug and flash all ARM-7, ARM9, ARM11 and ARM Cortex M0, M1, M3, M4 and M7 based products. 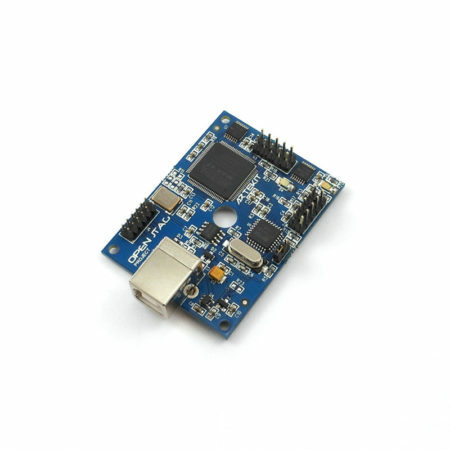 Compatible with the most popular debuggers as OpenOCD and others FT2232D-capables. 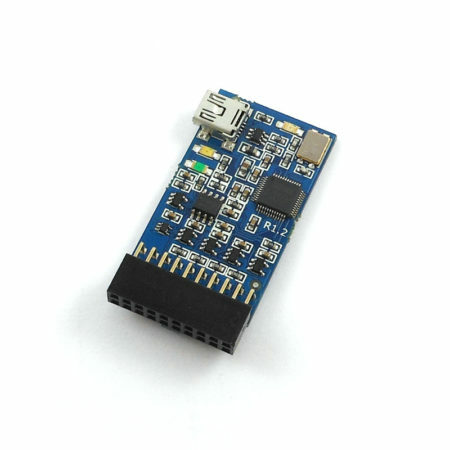 The built-in target voltage autosensor allows you to use this JTAG with any target in the range between 1.8V and 5.5V.